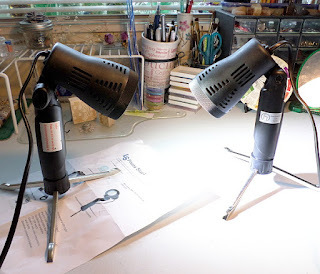 The tripod feet extend out of the base of these tabletop photography lights. 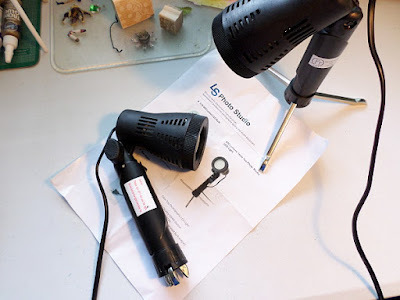 Love these moderately hefty, bright LED, tabletop photography lights. 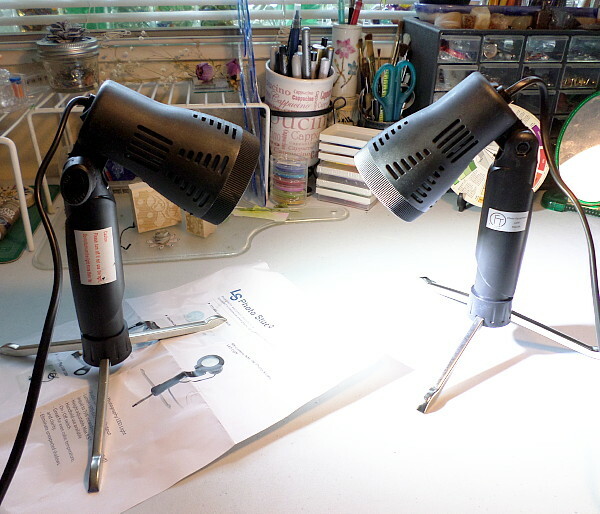 The perfect size for tiny studio use, they are not too heavy or too light. Replacement lamps are not expensive and are available at Amazon. So glad I chose to buy these at Walmart.com. Reviewed feedback at Amazon first, because there was non at the Walmart listing. This pair of tabletop photography lights feature 10-LED spots each. The listing was from Lodestone Studio in California, who provided free, 2-day shipping. They were packaged ok, in a Priority Mail bubble envelope, without any additional protective wrapping. I would have shipped them in a box, with extra padding. Glad the housing wasn't cracked. A customer at Amazon complained about cracked housing, and felt that it was because the lights were shipped in an envelope. Don't know if they had ordered from Lodestone or not, because there were several versions of these nifty lights from different sellers. 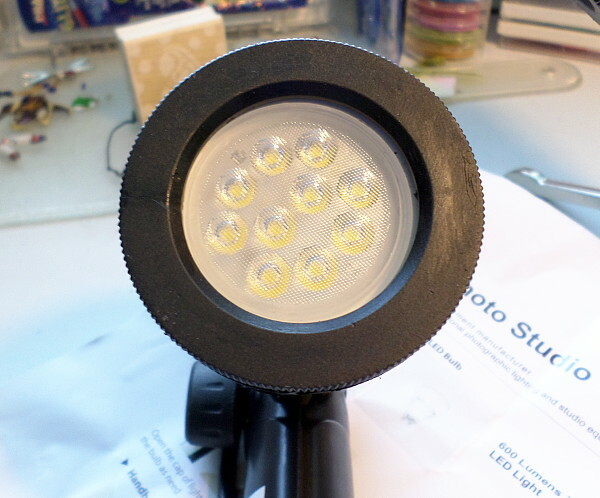 The beams in these economical product photography lights are bright, equal to 75w incandescent bulbs. These small photography lamps can be used with the tripods, or hand-held. I expect long use from these, though they are cheap. I take good care of my stuff, and these won't need to be transported or knocked around. Great investment, and wonderful that the under $20 price included a pair! My lights are still working well, but unfortunately, one of them has a short in the cord near the plug. Maybe the cord was bent too tightly in storage and packing. I have to place it just right to keep the light on. You know how you use an iron with a short in the cord. I thought it was a loose bulb or socket. Thought about writing Lodestone Studio, who encourages customers to contact them. Too much trouble to send back, though. Eventually, may have to get the cord spliced into a new plug. Often, just don't have time to pursue these minor issues. Choose your battles. Adapt and move on. Time too precious. 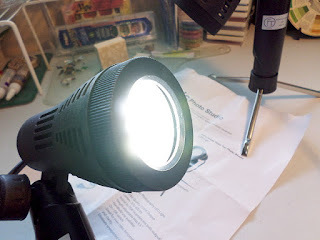 Have found that the little, powerful lights illuminate a product better when set further away. Up close they create strong shadows. I really think that I need a large floor spotlight too. It doesn't have to be a large one, as long as it is tall, and can light directly above my arrangement. I still love the little lights. So easy to move around on the table to find the best position for each shot.